One of the most versatile ways to prepare for the CPA exam is through an audio based CPA review course. This flexible course format allows you to learn almost anywhere you go and at your own pace. There is huge opportunity here for you to transform your most mundane tasks like doing your laundry and commuting to work, into a valuable study session. 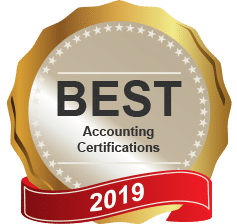 Here is an overview of the leading CPA audio review courses on the market today. Roger CPA Review’s audio course is the most effective audio course on the market because the lectures are energetic and entertaining. Roger Phillip is the instructor of this course and his upbeat personality actually makes studying for the CPA exam somewhat interesting because he’s able to inject some life into the subject matter. This courseware comes in a CD format which you can download to your computer and sync to your iPod. Also included is a resource CD that has the Lambers Textbook in PDF formatas well as any workbook the professors use during the lecture. The cost of each section is $210. If you looking for an audio course to supplement your primary study materials then I would definitely suggest the Roger CPA Audio Course. I’ve listened to several of the audio lectures myself and found them be educational and entertaining at the same time (not easy to do when talking about accounting). Roger’s audio course reviews all the important material that is most likely to be tested on and would serve an excellent resource to use as a final review before your upcoming exam. TAKE ME TO ROGER’S AUDIO COURSE! Please leave a comment with any other CPA Audio courses you have used that are not on this list, thanks! 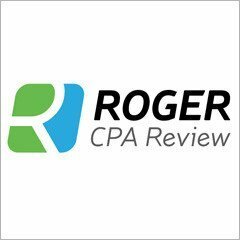 Does the roger's CPA review work on the computers and if so can I download it on multiple computers or would I have to pay for more than one download. I don't really have any portable devices to listen to it unless I'm hooked to wifi. And I don't have wifi access at work. Hi Bryce, I'm currently using CPAExcel as my study guide. I have a long commute to and from work. Which audio would you think would be a good compliment? Roger CPA Review has by far the best audio course, nothing else even comes close! I am currently studying for the FAR and ordered the 2013 Yaeger audio lectures. I have to say I wish I hadn't have spent the $125 on it that I did. Phil Yaeger is a terrible speaker. He constantly peppers his talking points saying "a-right" (short for alright, I suppose) to the point where it distracts me from the points he's trying to make. Additionally, in the middle of a certain topic, he'll think of something else and begins talking about that, eventually backtracking to the original topic. Worst of all, he frequently makes errors when explaining something and has to go back and correct what he said. So, while you're focusing on his explanation of a certain accounting method, you're having to shift gears and listen to a new explanation. Additionally, the woman (I can't recall her name) that does some of the lectures sounds like she's frequently muffling the microphone and moving her mouth away as well as speaking WAY too fast. Sometimes she sounds like she has the microphone right up against her lips. So, Mr. Yaeger really needs to improve on his speaking habits, make sure he is not giving misinformation, and the woman on that tape needs to slow down and be consistent with the volume of her speech. One good thing about the lectures is that they do repeat information a lot so the repetitive nature is helpful.